How Furniture Removalists in Brisbane Undertake Business? Moving has become a necessity as people are more willing to take up more challenging jobs in different parts of the world. With Australia posing to be a hub for commercial activities, it offers great scope and opportunities for growth and progress. Brisbane, the capital city of the most populous Australian state, Queensland, is the third most populous city in Australia. Given the credentials, it is one of the places to work and raise a family. But given the intricacies and complexities involved in moving, one needs to rely on the services of a professional furniture removalists in Brisbane. At CBD Movers, we have comprehensive knowledge of the area. We are aware of the steps involved in moving and take up each task with competence and deftness. Here are ways in which our expert furniture removalists in Brisbane perform their chores for a successful move. • Packing: Furniture forms the most important component of house and office belongings. Given their materials, styles, and sizes, moving them under professional supervision is a must. And competent packing is crucial for moving them, safely and securely. As a reputed removalists company Brisbane, we possess the best packing supplies and staff the finest personnel to execute the packing job. We have comprehensive knowledge to pack each item and adopt the best packing techniques that ensure the safest move. • Equipment: Pushing and pulling furniture during removal can damage them extensively. Best-in-class removal equipment is therefore important for moving heavy as well as delicate furniture. Ramps, trolleys, moving straps come in handy while moving furniture. As experts in the field, we possess the latest tools and techniques to carry out the job with utmost safety. Our trucks too are befitted with climate control systems that ensure maximum protection. • Dismantling and coding: The experts are skilled at dismantling and reassembling bulky furniture items. This aids in a safe move. The professionals also adopt apt coding methods to ensure that the dismantled parts are labeled properly and thus reassembled in the most effective manner. 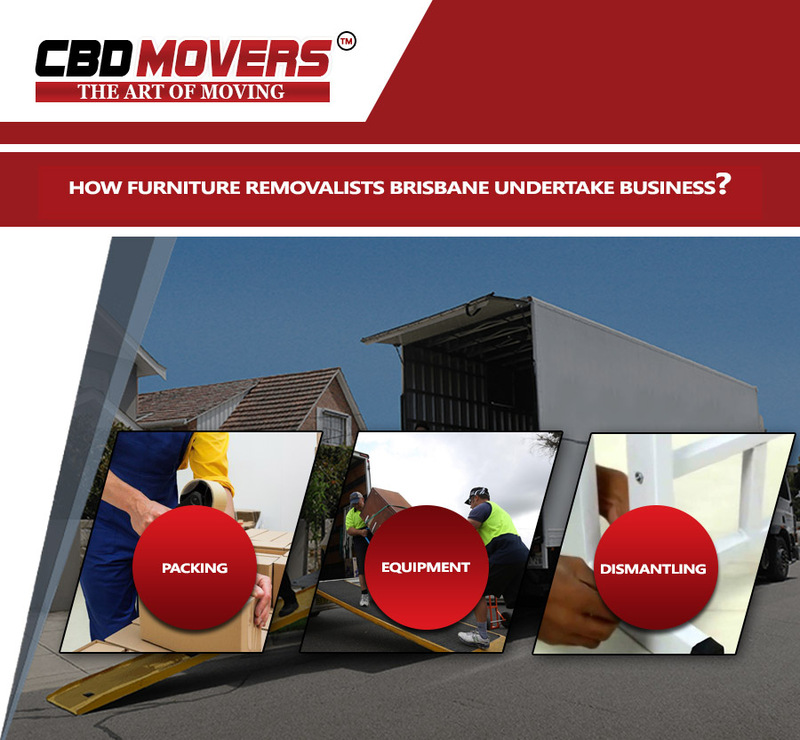 At CBD Movers, we are the most trusted furniture removalists in Brisbane. Our superior skill and state-of-the-art equipment help us undertake the most complicated moves with ease and competence. Next PostNext How Office Movers In Adelaide Make Moving Easy?